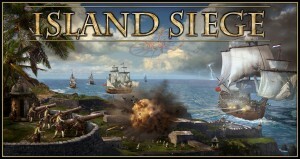 The Kickstarter campaign for my new game Island Siege is live! The publisher APE Games has done a fantastic job so far in putting the game together. The game will come with some great components like cards with gorgeous artwork, custom metal coins, and mini-meeples (smaller than a regular meeple, but just as cute).